fib Model Code 2010 represents the state-of-the-art of code-type models for structural behaviour of concrete. It comprises constitutive relations and material models together with the most important explanatory notes. However the underlying normative work, i.e. the fundamental data as well as the considerations and discussions behind the formulas could not be given within the Model Code text. Based on various experiences gained after the publication of Model Code 1990 this lacking background information will lead in the following to numerous questions arising from Model Code users. Consequently the present bulletin claims to conquer this general weakness of codes in a way to guard against any future misunderstandings of the Model Code 2010 related to its chapter 5.1 (Concrete). It discusses the given formulas in connection with experimental data and the most important international literature. The constitutive relations or material models, being included in MC1990 and forming the basis and point of origin of the Task Group’s work, were critically evaluated, if necessary and possible adjusted, or replaced by completely new approaches. Major criteria have been the physical and thermodynamical soundness as well as practical considerations like simplicity and operationality. This state-of-the-art report is intended for practicizing engineers as well as for researchers and represents a comprehensible summary of the relevant knowledge available to the members of the fib Task Group 8.7 at the time of its drafting. 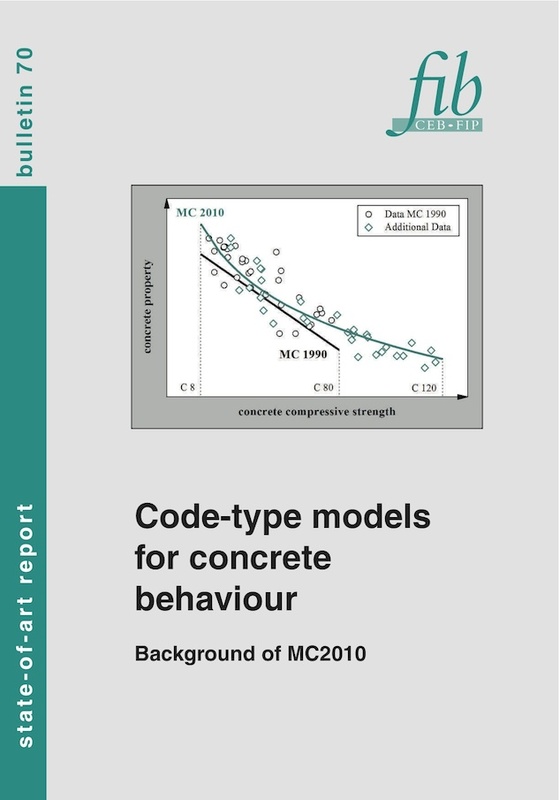 Besides the fact that the bulletin is a background document for Chapter 5.1 of MC2010, it will provide an important foundation for the development of future generations of code-type models related to the characteristics and the behaviour of structural concrete. Further it will offer insights into the complexity of the normative work related to concrete modelling, leading to a better understanding and adequate appreciation of MC2010.